We are taking our pet on vacation, What should I consider? Frederick, MD is warm and sunny, the kids are out of school, and after the winter we have had…it is time to venture out and take a vacation! At Kingsbrook Animal Hospital, we consider our pets family, so why not bring them along too? 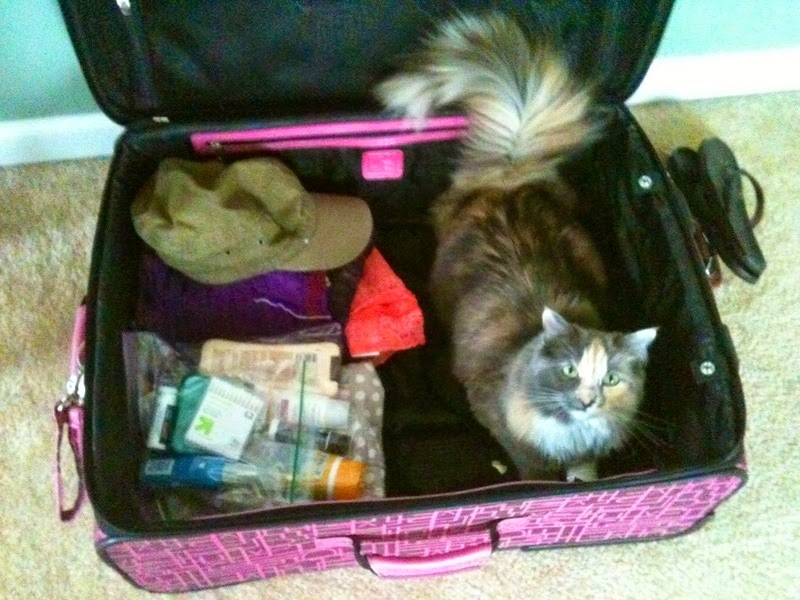 If you are able to bring your furred family member with you, plan ahead to ensure a safe, fun trip for everyone. Traveling by land, air, or sea has its obstacles so make sure you have what you need ahead of time to prevent any hiccups in your trip. 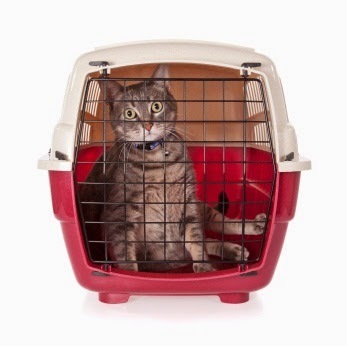 Firstly, no matter how you are traveling, as long as you are in motion, your pet should always remain in a veterinary approved carrier for safety. Carriers come in a variety of shapes and sizes and can be either hard or soft. Carrier size and shape may not make a difference if traveling in your own car, but some airlines or buses will require a certain kind of carrier that must fit under the seat. Make sure you check with the travel company before hand to ensure you have the correct carrier. Haley’s Blue is ready to go. Another thing to consider is whether or not you need a Health Certificate for travel. Health Certificates require a scheduled visit to your veterinarian before your travel date. Most Health Certificates are only good for a short period of time, so scheduling is very important depending on when you plan on leaving. It may also be advisable to bring a copy of your pet’s medical record with you in the event of an emergency, especially if your pet has a medical condition. Planning ahead, will ensure you have the necessary paperwork needed for a hassle free vacation. Besides what your pet will be traveling in and possible paperwork you will need, consider what necessities your pet may need too. Always make sure your pet has fresh water available. If traveling in your own car, having some bottled water reserved will accomplish this. If you are traveling in an airplane or bus, you may not be able to take your pet out while in motion. Freeze some water in a bowl so that it slowly melts as you travel; this will prevent spillage and will keep your pet hydrated. Food is also something your pet will need. 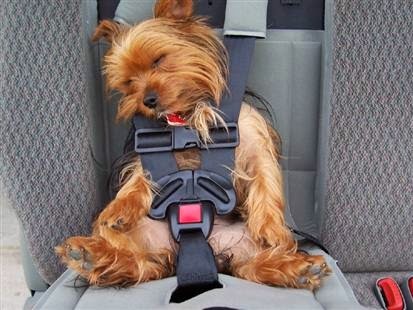 Depending on how long your trip is, your pet may need to eat during travel. If you are unable to take your pet out of his carrier, keep some dry food in with him. Make sure you plan to bring enough food for the entire trip, plus a little extra just in case. If your pet is on a prescription food or medication, contact your veterinary office before hand to make sure you have it in hand before you go. With these tips in mind, you should have everything you need for a fun filled, well needed, family vacation. This entry was posted in Frederick MD, Kingsbrook Animal Hospital, veterinarian on June 24, 2014 by yourfriends. 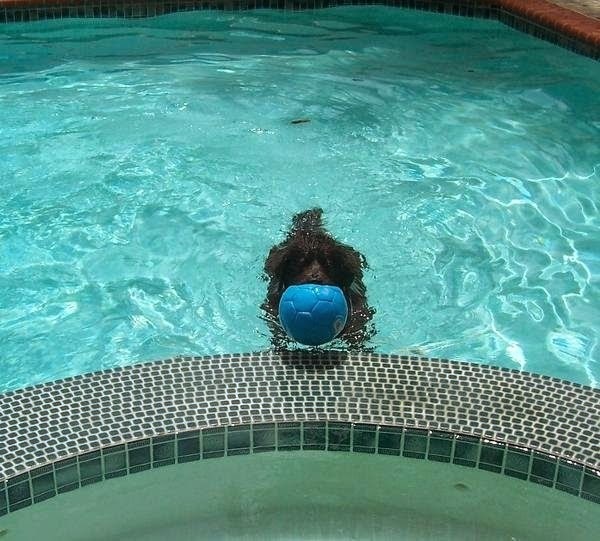 We take our dog swimming. Why does he keep getting ear infections? With the summer season right around the corner, we will all be looking for a place to cool off during the blistering hot days. What is a better way to cool off in Frederick, MD than swimming? 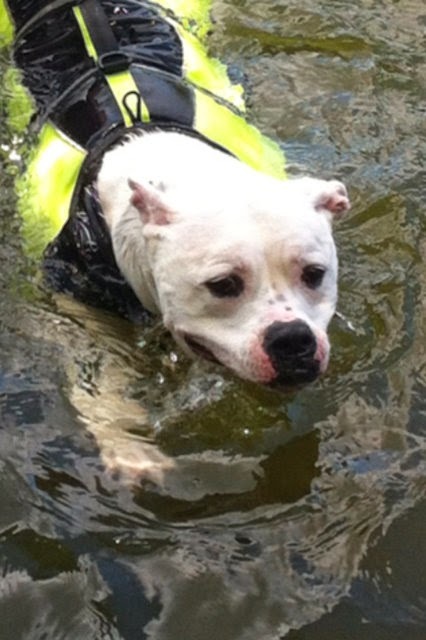 While swimming is a fun activity for all of us, and helps keep us cool in the hot summer weather, it can cause some not so “hot” problems for your friend Fido. Kelly’s Sugar swimming at the lake. A dog’s ear canal is shaped very differently than ours; it is longer and creates an “L” shape. The unique shape of a dog’s ear provides the perfect environment for infectious organisms like bacteria and yeast. Add water to the equation and your dog’s ear is the perfect place for these organisms to grow and thrive. When bacteria and/or yeast are able to grow, they cause infection in a dog’s ears. Symptoms of an ear infection may cause your dog to shake his head, scratch his ears, cry out, and have a dark rusty colored discharge and odor. 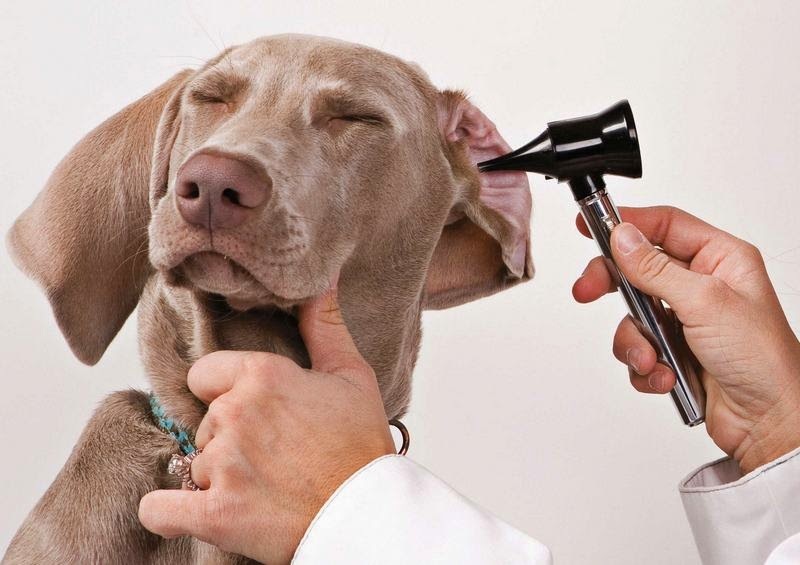 If you suspect your dog may have an ear infection, contact your veterinarian for an appointment. Cleaning your dog’s ears with a veterinarian approved ear cleaner after every water activity will help to prevent future ear infections. Ear cleaning is simple and is done in three easy steps; pour the ear cleaning solution into the ears until you see the solution start to pool, massage the base of the ear gently to break up wax and debris, and then swipe the inside of the ear with a dry cotton ball. See our video on Kingsbrook Animal Hospital’s YouTube channel for a tutorial of how to follow these three easy steps here. So have fun and fight the summer heat with a refreshing swim, but don’t forget to follow up with an ear cleaning to prevent painful ear infections later. Megan’s Sophie enjoying the pool. This entry was posted in Frederick MD, Kingsbrook Animal Hospital, veterinarian on June 17, 2014 by yourfriends. Does my dog need sunblock? Summer is finally here and you know what that means- SURF, SAND, and SUNscreen! Yes, even for your pets! Like humans, pets are susceptible to and can suffer from sun damage due to exposure and need protection from those harsh rays. Without proper precautions, your pet is at risk for changes in skin color or nails, sunburn, sun rash, and even tumors. Dogs and cats with pigmented skin or thick hair coats are usually less susceptible to UV radiation because their coats act as a protective barrier, while those with thinner hair coats or areas with less pigmentation are more susceptible. 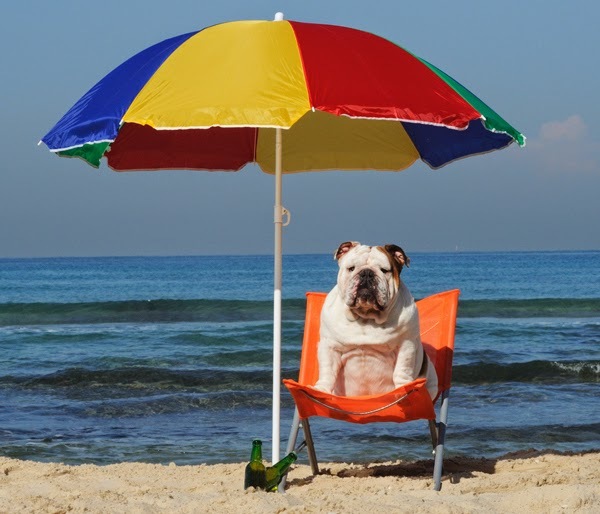 Areas that are particularly sensitive to sun exposure and sunburn include muzzle, tips of ears and bare bellies – especially in breeds such as Pit Bulls, Boxers, Whippets, Dalmatians and Bull Terriers. Surprising, thinly haired bellies are commonly sun-burned because the sun reflects off the concrete and many dogs also enjoy sunbathing belly-side up. Sphinx (a hairless kitty) and especially cats with white ears/noses are the ones commonly seen with solar damage among our feline friends. Also, don’t forget pets who have recently been clipped either for cooler summer hairdos, for surgical preparation or treatment of wounds/skin problems, are also at increased risk for sunburn. But not to fret! 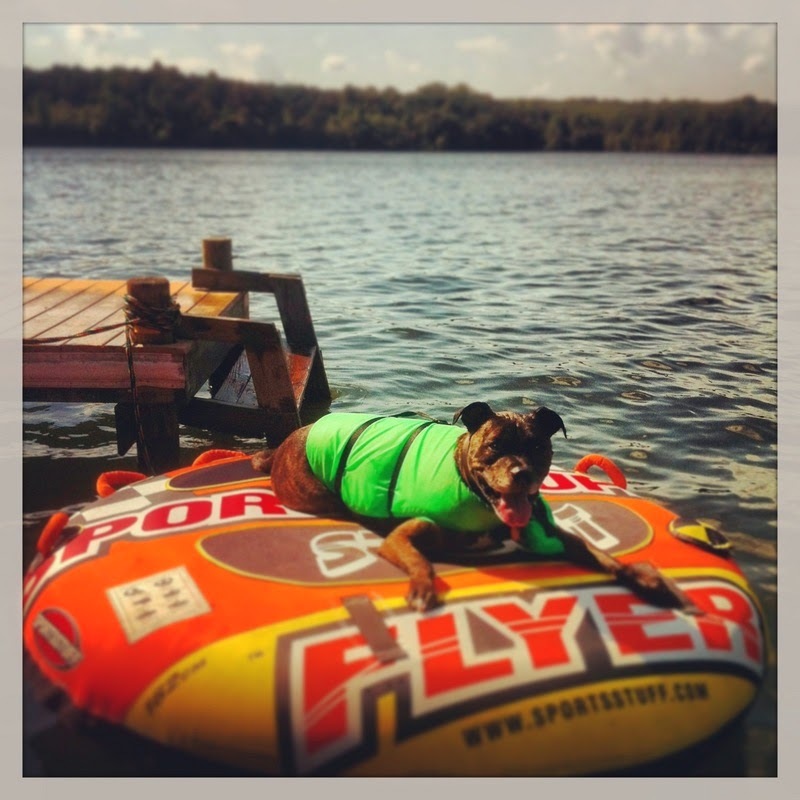 There are ways that you can safely protect your fur-kids during those hot summer months in Frederick, Maryland. The most common sun protectant is sunscreen. It’s important to look for a sunscreen specifically designed for pets as many human sunscreens can be toxic if ingested. 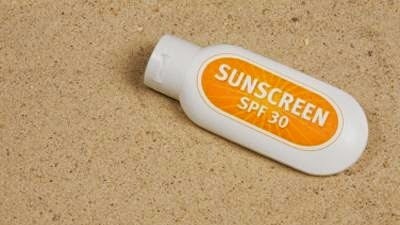 Baby sunscreen can be used; however it is important to speak with your veterinarian prior to use. Products containing ingredients such as zinc or titanium dioxide should specifically be avoided. There are some pet-specific products on the market, but the only FDA approved sunscreen for dogs (and horses) is called “Epi-Pet Sun Protector”. It also has properties to condition the skin while your dogs are out and about. There is no current FDA approved sunscreen for cats and is important to note that Epi-Pet should not be used on cats because the breakdown product is toxic if ingested. For cats, it is also important to stay away from anything with Octyl Salicylate, homosalate, and ethylhexyl salicylate. Titanium dioxide is ok for cat ear tips, but again, toxic if ingested. The good news is Epi-Pet is currently working on a product that will be approved and safe to use for cats. 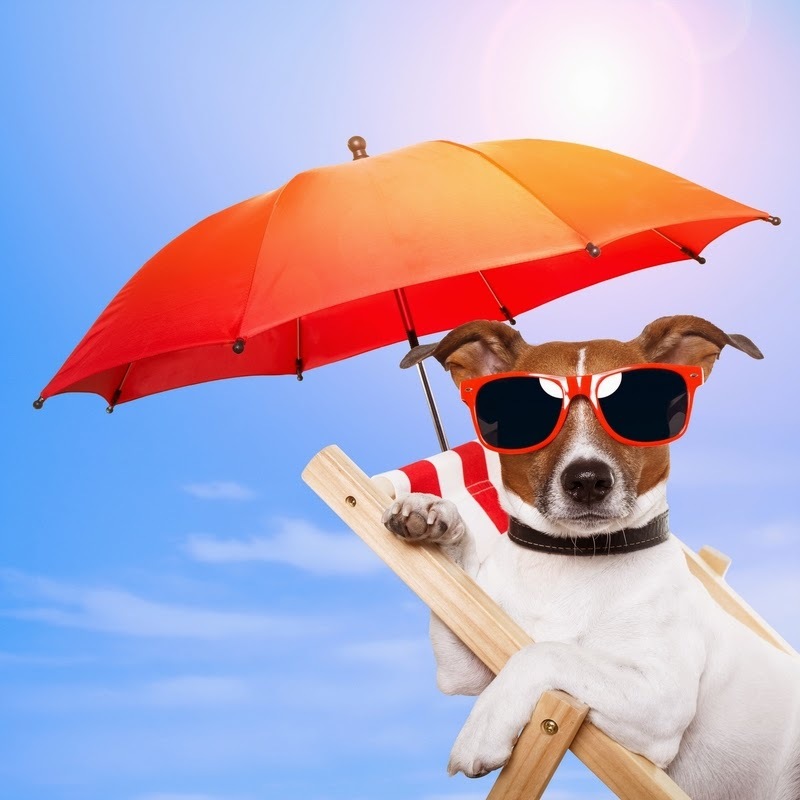 Sunscreens should be water resistant and have UV/UVB protection comparable to SPF 15 or 30 in humans (SPF values are not allowed to be used on products advertised for pets). Depending on your pet’s size of course, approximately one tablespoon per exposed body area is recommended and sunscreen should be re-applied every 4-6 hours. Sun damage can happen anytime so it is recommended to use sunscreen year round. Some other options to consider using in conjunction with sunscreen include sun hats, sun suits, avoiding the sun during its strongest hours of the day, and just plain staying in the shade! Also it is important to remember our canine and feline friends are at higher risk for heat stroke in the hot summer months, so be sure to provide plenty of shade and shelter from the heat and fresh water for your pet. If you have any questions or concerns regarding your pet and the sun, please don’t hesitate to contact Kingsbrook Animal Hospital at 301-631-6900. Miller, H. William, Craig E. Griffin, and Karen L. Campbell, Muller and Kirk’s Small Animal Dermatology. 7th Edition. Saunders, 2012. Print. 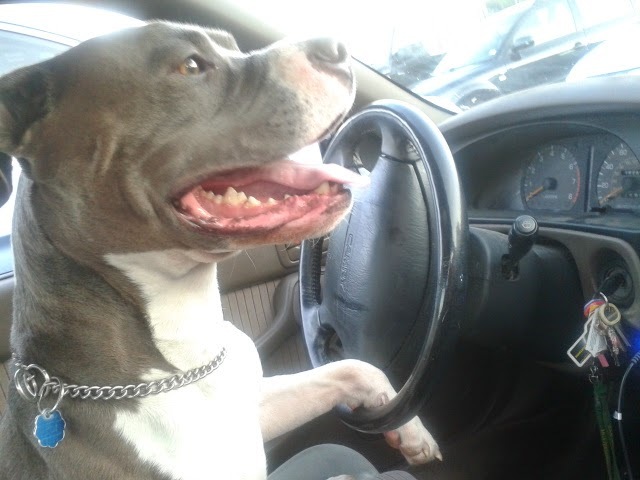 This entry was posted in Frederick MD, Kingsbrook Animal Hospital, veterinarian on June 10, 2014 by yourfriends. My Dog Got Stung By a Bee: What Do I Do? 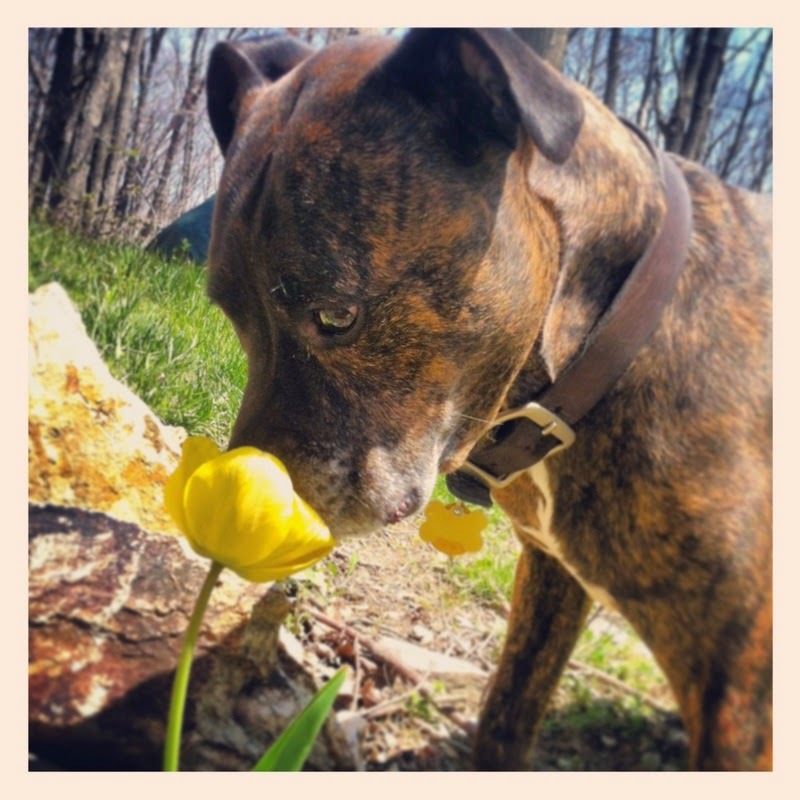 Kelly’s Wyatt taking time to smell the flowers. Bees are everywhere, even here in Frederick, MD and in some cases their stings can be just as serious as they are in people. 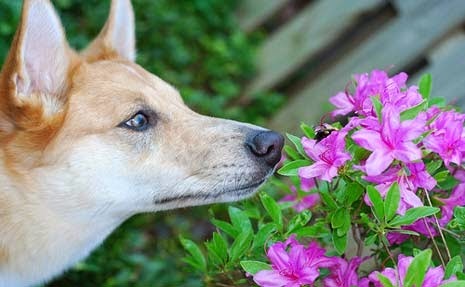 Dogs tend to have an increased risk of getting stung because of their curiosity of anything that moves so keep an eye out for signs of bee stings which can include: crying out, running in circles, scratching, licking, or chewing at the sting, and swelling of the site. Here at Kingsbrook Animal Hospital, we recommend getting in to see your veterinarian as soon as possible if your dog has experienced a bee sting, as severe allergic reactions can happen quickly. They will be able to administer medication to ease any pain, itching and swelling your dog may be experiencing. Before you make it to the hospital, if you can remove the stinger go ahead and try to do so by scraping a credit card across the skin to brush it out. Something to know, is if you try to remove it by pinching or pulling, it is possible to break the stinger and inject more venom into your pup. Don’t worry though if you cannot remove the stinger as your veterinarian can help with that too! In order to minimize contact with these little critters for your dog, try to monitor your property for any nests in the ground or in trees. 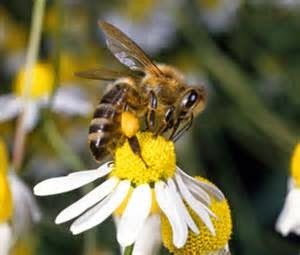 Also, helping your furry friend to avoid flower beds as much as possible wouldn’t be a bad idea as bees love their flowers! While being safe is important, most importantly, remember to have fun this spring! This entry was posted in Frederick MD, Kingsbrook Animal Hospital, veterinarian on June 3, 2014 by yourfriends.